We have our office in the heart of the South Beach community, so we may be biased. We are convinced, however, that South Beach is a very special Sea Pines neighborhood. Located at the southern tip of Sea Pines, the community of South Beach is a Sea Pines real estate opportunity that is truly remarkable. 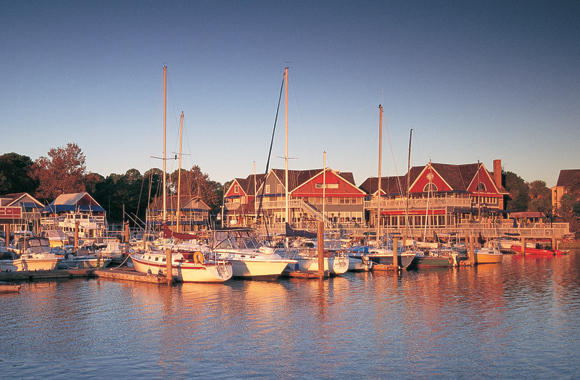 The charming marina village reminiscent of a classic New England fishing village, racquet club, shops and restaurants offer everyone something to enjoy. Some of the very best beaches on Hilton Head provide gorgeous sunset views across Calibogue Sound every night. These attributes, and more, make South Beach one of the most attractive Sea Pines real estate addresses. South Beach offers a unique variety of real estate opportunities. Beautiful oceanfront homes blend seamlessly with a variety of villa opportunities, including the popular Bluff Villas, Lands End homes and Beachside Tennis Villas, and more. Second and third row homes are nestled in lush foliage that offers privacy and natural beauty, and they are still an easy walk to the beach. Although South Beach has a wonderful resort feel, it also tailors itself gracefully to the fulltime resident. If you’re looking for a Sea Pines neighborhood that has it all, South Beach may be the perfect choice.